Just a follow up to our recent business with you to say, thanks very much! The items were all as ordered, and were received in time for the Reunion! Thanks for your help in sorting the delivery by the way. The coffee mugs were extremely popular and their quality was excellent. 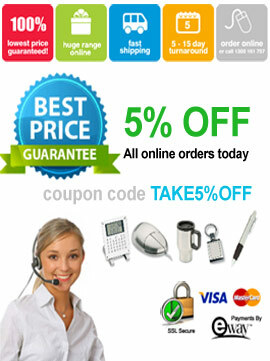 I shopped around online and found Printapromo to be the best quality and at the best prices. Now I am happy with the pricing and products it is easy to re-order. with confidence!